Drinktec, the world’s leading trade fair for the beverage and liquid food industry, recently held a presentation to invite Filipino audience to the 2017 event on September 11 to 15 at Messe München, Germany. The trade fair will gather beverage and liquid food industry players from different parts of the world to showcase the latest technologies and trends in production, filling, packaging and marketing. Participation in the 2017 drinktec fair offer Filipino industry players an opportunity to learn how they can take their business to another level and network with colleagues from other markets. 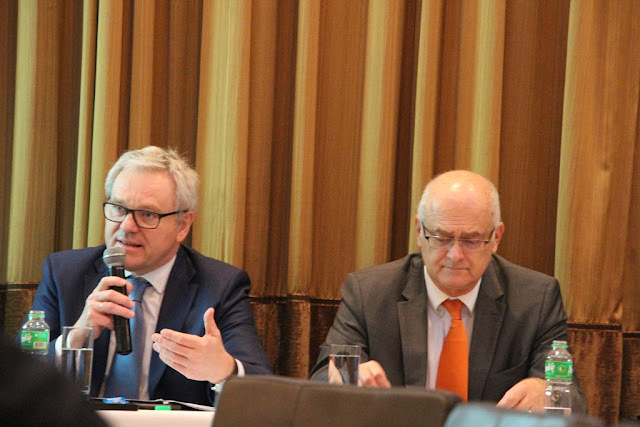 The Philippine leg of the drinktec road show was led by Richard Clemens, Managing director of VDMA German Engineering Federation. More information on drinktec is available at www.drinktec.com.